Remanufactured Black Toner Cartridge with 4,000 page yield. 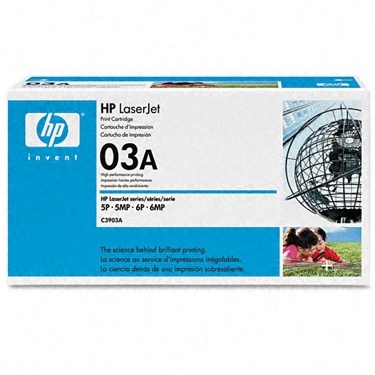 Equivalent to HP part number(s): C3903A, 03A. Fits the following model(s): HP 6p, HP 6pse, HP 6psi, HP 6pxe, HP 6pxi. 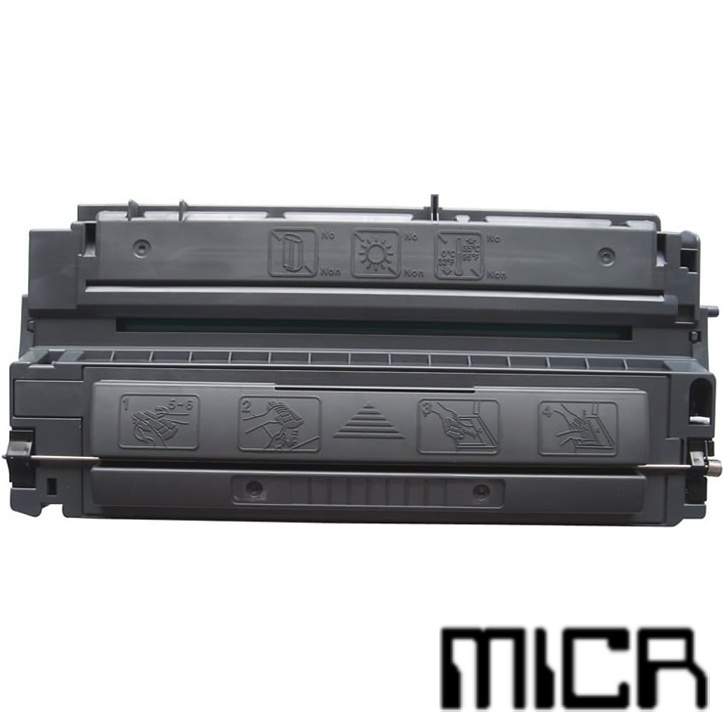 Buy our high quality compatible toner for HP LaserJet 6p with confidence. Join thousands of happy customers who have found our compatible products are equivalent in page yield and print quality. For our compatible products, we offer a 100% Satisfaction Guarantee allowing you to return products within 6 months if you are unsatisfied. 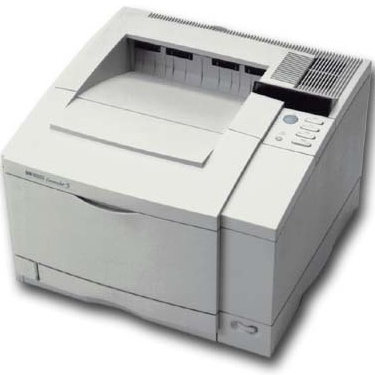 Not every office has the same needs and requirements for a printer, so the HP LaserJet 6p comes in multiple configurations to suit the varying needs of almost any office environment. Its upfront price is reasonable, and affordable HP 6p toner is easy on the budget. The many models of the 6p include the 6pse, 6psi, 6pxe, and the 6pxi. The main differences between the models are in the paper capacity and amount of memory included. Memory can be expanded on all models. Having many choices lets buyers pick the model that suits their needs the best. 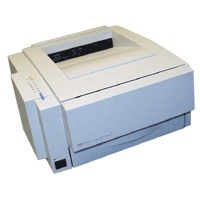 The LaserJet 6p laser printer can help users save money in a number of ways. First, HP toner cartridges are inexpensive. HP 6p toner is some of the least expensive. 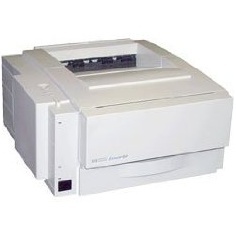 The LaserJet 6p toner cartridges also have large capacities, which contribute to a low cost per page that exceeds the printer toner of competing models. With a 4,000 page yield for each LaserJet 6p toner cartridge, users won't need to replace them often. Third-party compatible HP 6p toner is readily available as well, which brings costs down even lower. Another way that the machine helps save money is with its duplex printing feature. With duplexing, or two-sided printing, both sides of the page are used, meaning less paper usage. Lastly, the EconoMode can be enabled as the default printing option, which helps get more from each tank. The main drawback of the model is its lack of a USB port. It has only a parallel port for connection, meaning buyer will have to use an adapter on most modern machines, which no longer support parallel port connections. For a low-cost monochrome laser printer, it is hard to beat the HP 6p and is an excellent replacement for the discontinued HP 4 toner printer. Users who need faster speeds or unsupported features should look elsewhere, but those who need a reliable and inexpensive solution may find a lot to like.